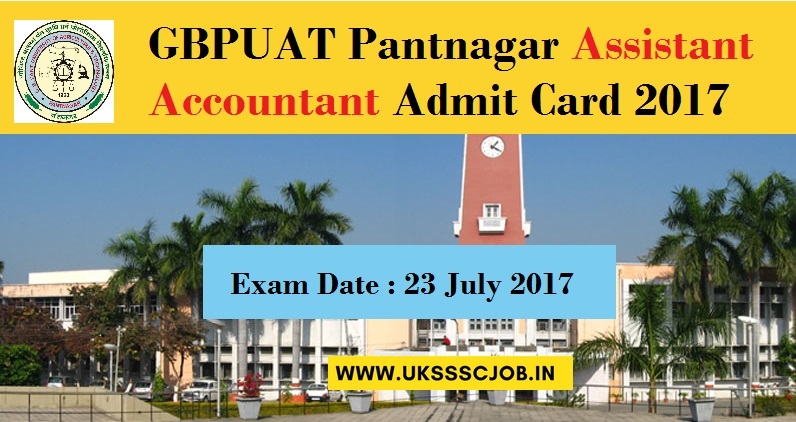 G B Pant University of Agriculture and Technology GBPUAT has released the GBPUAT Pantnagar Assistant Accountant Admit Card 2017. 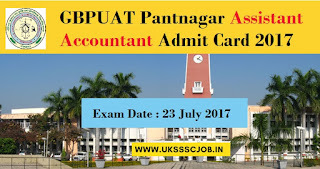 GBPUAT has sheduled the exam date of Assistant Accountant 2017 on 23 July 2017. Candidates who have applied for the post now they can download their admit card from the official website of GBPUAT www.gbpuat.ac.in or via direct link given below. 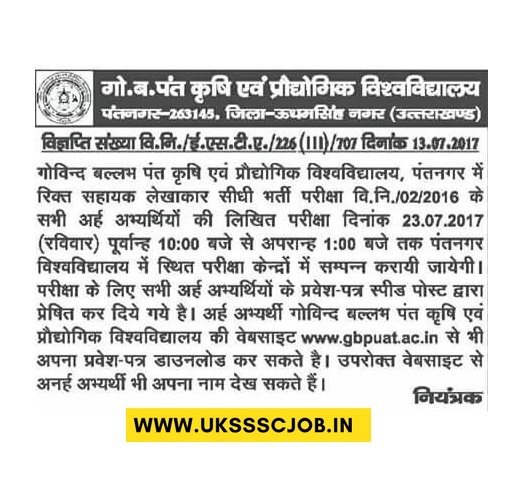 G B Pant University of Agriculture and Technology GBPUAT will conduct the exam of Assistant Accountant ( Sahyak Lekhakar ) on 23 July 2017. 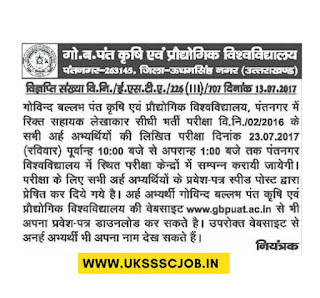 Candidates who have applied for the post can download their admit card from GB pant University Website www.gbpuat.ac.in. you will be also receiving it via speed post. Exam Pattern : There will be two paper for Assistant Accountant Exam. Each paper will contains 100 Marks. The duration of paper is 3 HRS. Syllabus : Subject related question. Total time for paper 1st and paper 2nd will be 3 Hrs. pls check this issue and pls send my call latter. pls check my name is shameem S/o Ashraf Ali my call latter is not show pls help. I don't have my real identity proof with me right now, I just have photocopy of my voter ID, that would be enough? Or we need real ID proof? All instructions are printed on admit card.